Get a behind-the-scenes look at how OmniFocus experts use OmniFocus to navigate the complexities of their life and work. There are many different ways to use OmniFocus effectively. Witnessing how other people use OmniFocus can provide you with inspiration for your own setup and workflows. 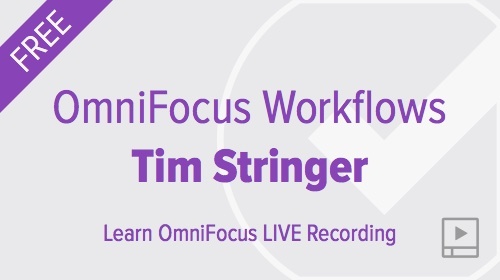 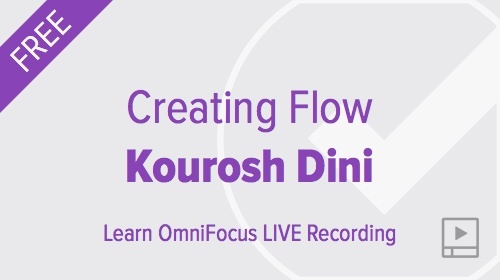 The following live session recordings feature seasoned OmniFocus experts. 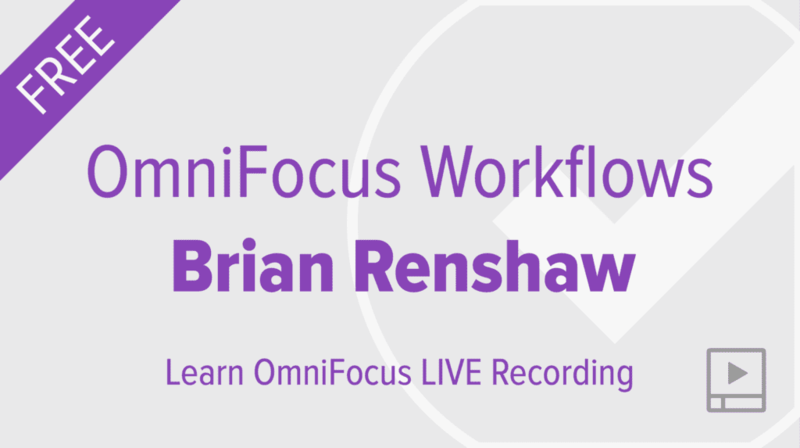 They’ll take you on a tour of their OmniFocus setup and workflows and will talk about complementary apps and services that they use to stay organized and productive. If you join workflow sessions live (Learn OmniFocus Membership required) you’ll have the opportunity to meet our workflow guests and ask them questions about their setup and workflows. Is there anyone you’d like us to invite to be a guest? Drop us a line with their name (feel free to nominate yourself) and a summary of their OmniFocus experience.